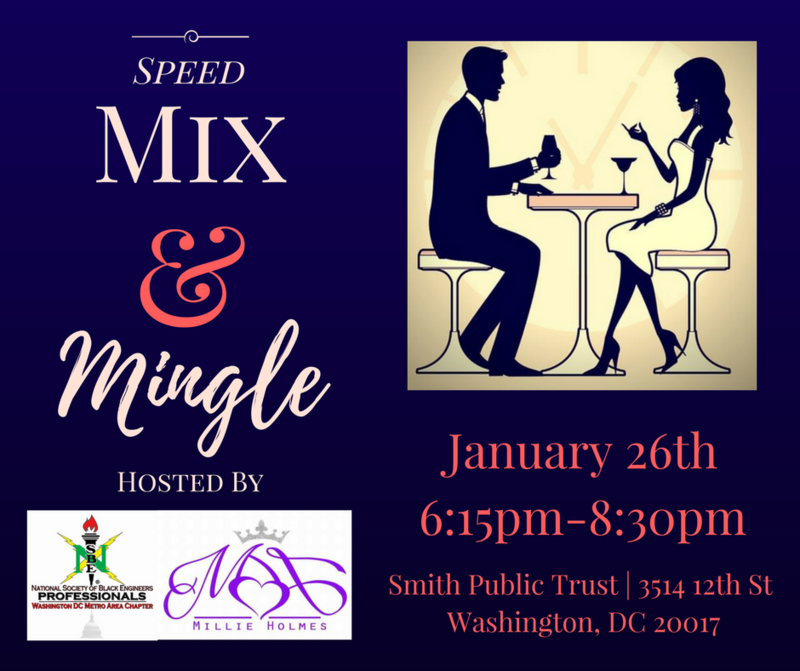 We had a great time last year, so come out again and meet the sexiest singles in Washington, DC at the NSBE DC Professionals 2017 Speed Mix and Mingle! This year, we are partnering with local matchmaker, Millie Holmes, for 5 Minute Speed Dating. When you're not in one of the sessions, stick around and solidify those connections or socialize with other DC professionals at the bar! For more information, please contact info@nsbedc.org.